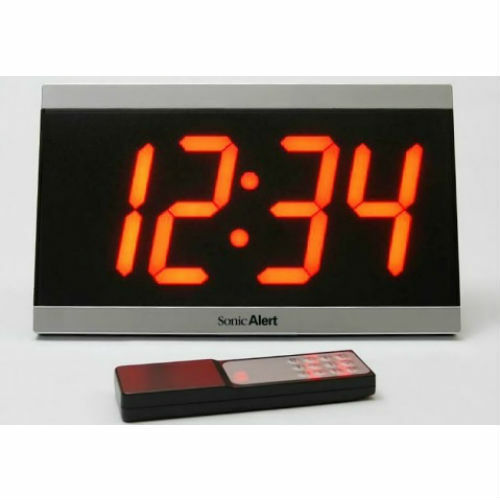 Whether you suffer from a visual impairment or are simply looking for a digital clock that will enable you to read the time more easily during the night, the Sonic Alert Extra Large Display Clock with Remote combines a bright LED display screen with an adjustable loud volume. With a control provided for remote adjustment, it is both convenient and easy to use. 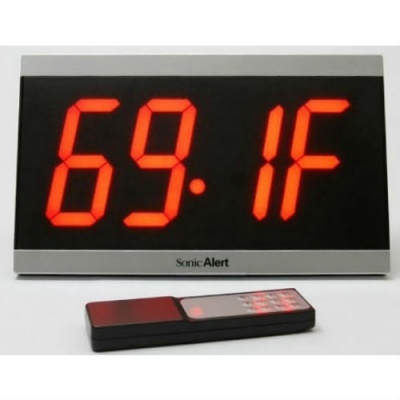 The Sonic Alert Extra Large Display Clock features a large digital screen offering a bright red LED display. With its anti-glare matt finish display lens, it will be easier to read when viewing the time in the middle of the night without needing to turn on the light. It also features five-level dimmer control should you wish to reduce the brightness of the display. The large size of the screen will also make it ideal for anybody with weakened vision, where reading smaller numbers can be challenging. With the extra large Display Clock, and the ability to display the time in either twelve or twenty-four-hour clock, you can be assured that you will be able to read the time on the display no matter the time of day. Another benefit of the Sonic Alert Extra Large Display Clock is the ability to adjust the volume level of the alarm ringer. It can reach up to 60dB to help ensure that the aural alert can be heard clearly, whether used as a wake-up call or as an indicator when programmed to sound at a specific time of day. This makes it ideal for anybody with hearing difficulties looking for a more reliable alarm clock. 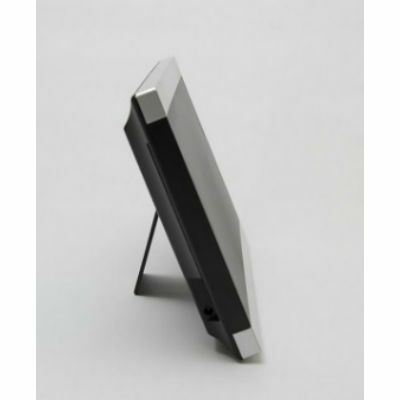 The Display Clock with Remote can stand on its own, or it can be mounted on the wall if there is a more convenient place by your bed where you would like it to be places. 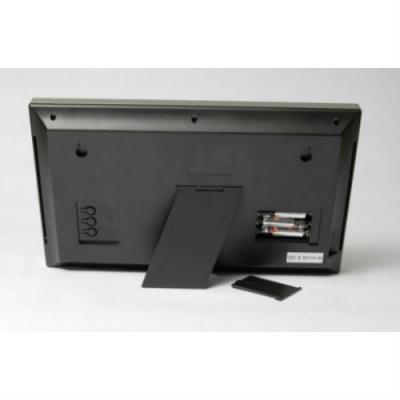 This will allow you to mount it in a position that is best suited to your needs, whether you desire it closer to you or further away. The included remote control also means that the clock's settings can be adjusted from a distance. This means that if you display the clock further away from your bed so that you are not too close to the screen you can still control the alarm through the use of the remote control, which can be conveniently placed on a bedside table.